07:50 A.M. meet at the transfer at your hotel for transfer to Thai Immigration check point. Then cross to Lao , grant visa on arrival at Lao Immigration , Houay Xai. After formality process transfer again by Tuk-Tuk to slow boat pier for embark boat riding down stream to Mekong River to Pakbeng Village. Boat leaves Houei Say pier about 09:00 A.M. for a cruise down the Mekong to Pakbeng. 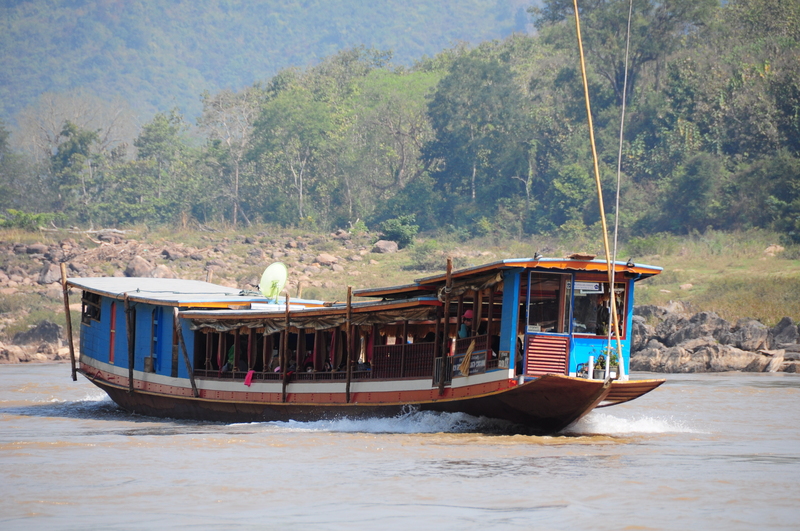 En route one stop is made to observe rural life of the river tribes along the Mekong. There is lunch on board. 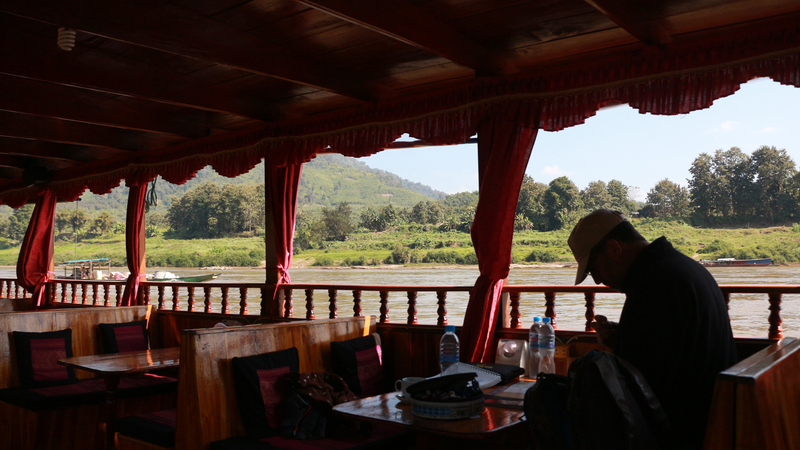 The boat will arrive Pakbeng village before sunset for overnight stop. Breakfast served at lodge restaurant around 07:00 A.M. Boat departs at 08:00 A.M. for her second part of the trip. 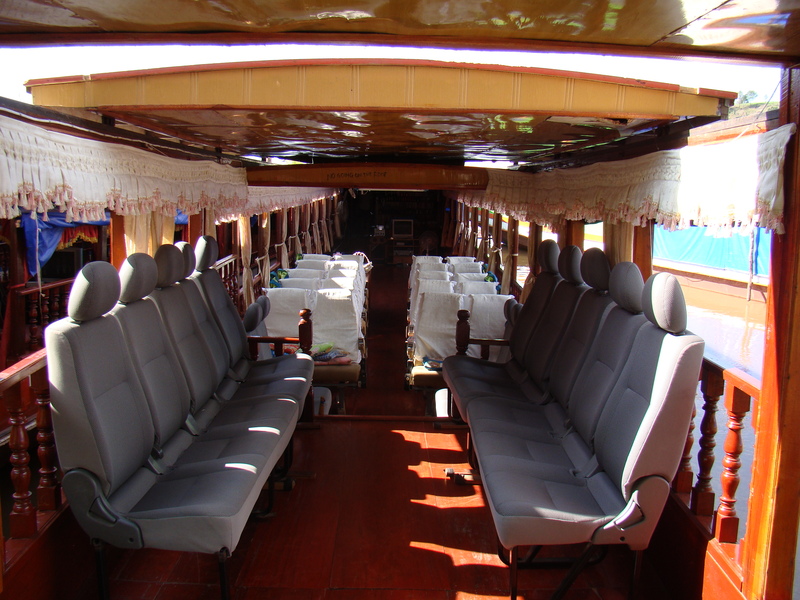 The boat has a stop at Ban Kok Aek to observe the rural life. Lunch is again served on board. 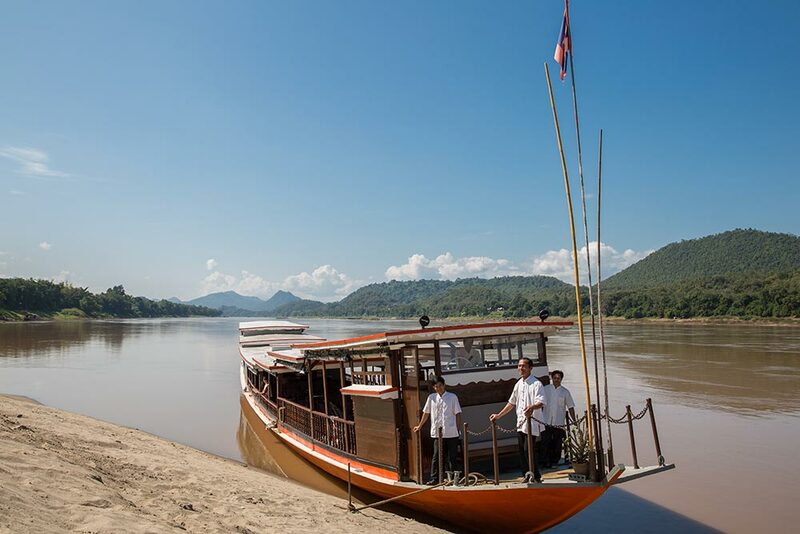 Upon arrival at Pak Ou village at the mouth of Nam Ou River, boat stops for a trip to visit Tam Ting “Caves of Thousand Buddha’s”. Reaching Luang Prabang (UNESCO world heritage city) at Ban Don Mai pier before sunset.